Once school is out, we offer several summer opportunities for our children and youth to learn and have fun in a Christ-centered environment. 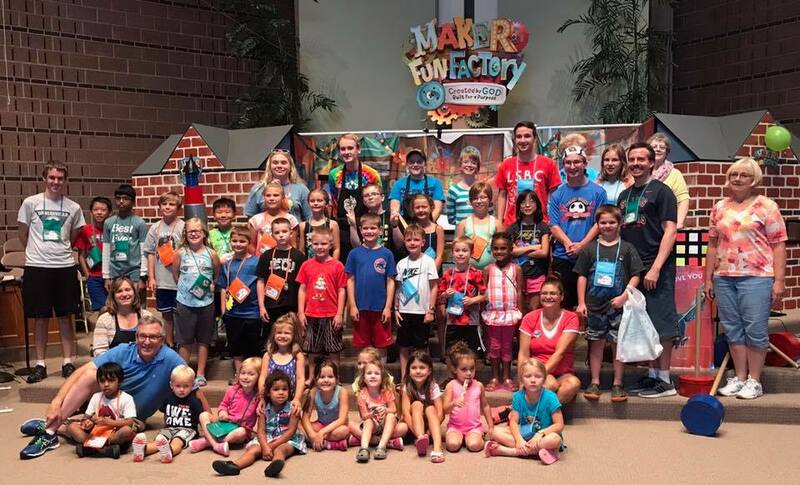 Each summer during the last full week of July, we offer Vacation Bible School (VBS) for children from age 3 through 5th grade. A curriculum focused on a particular theme teaches Bible stories and songs. Children enjoy the music, make crafts, and participate in many other fun activities related to the theme. A nominal fee of $15.00 per child covers the cost of dinner and snacks each evening, crafts, Bible study supplies, games, and a music CD. 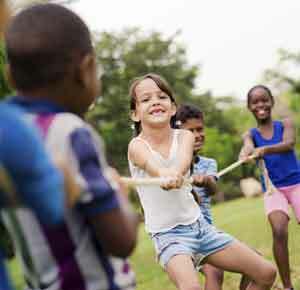 Children and youth who’ve completed Kindergarten through 12th grade and who like spending time outdoors can attend one of multiple age-specific camps throughout the summer. At Lake Springfield Baptist Camp, young people from all over the Great Rivers Region (Illinois and Missouri) learn about God and worship Him through small groups, songs, and Bible study. Of course, there’s swimming, canoeing, crafts, games, and campfires, too! Worship services overlooking the lake at Vesper Point are a highlight of every camp! If you would like to know more about this opportunity to feel God’s presence, both through nature and through community with other young believers, call the church office for information. Registration usually takes place in the spring. If you are interested in becoming a counselor, please contact Lake Springfield Baptist Camp directly through their website. 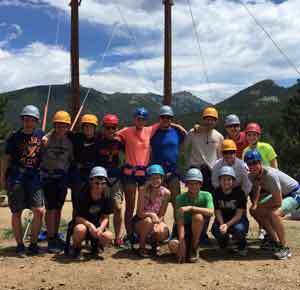 FBC’s youth and leaders look forward to having a wonderful time year after year at the GenOn Youth Summit National Conference, held each year at the YMCA of the Rockies in Estes Park, Colorado. The conference model is the same as our mid-week LOGOS Ministry, with Worship Skills, Bible Study, Recreation, and Family Time – and plenty of hiking in the Rockies! The summit typically takes place in early July and includes participants from LOGOS churches across the United States. This is one of the highlights of the summer for our youth as they reconnect with friends while taking in God’s beautiful creation. They truly do have a “mountain top experience”! Youth who will complete 8th grade through 12th grade and have participated in LOGOS during the school year are welcome to attend. Sign up is in January. Please contact Sandi Barlow at sandi@fbcblm.org if you are interested in attending.